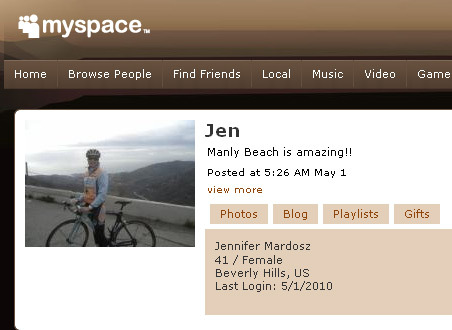 MySpace has appointed Jennifer Mardosz as their new Chief Privacy Officer, effective immediately. Jennifer has been with the company since 2007 where she was Vice President of Business and Legal Affairs being responsible for safety, security and privacy matters. Jennifer has previously worked in the legal field, and also for the U.S. Attorney prosecuting various internet based crimes, particularly against minors. This seems to be a key hire for MySpace and Jennifer will be working from the MySpace Los Angelas office reporting to Lin Cherry – General Counsel.